Available in a range of shapes and sizes, our team of designers have used a range of woods, glass and chromes to create this superb collection of coffee tables. From classic traditional woods to chic and contemporary chromes, we have a coffee table collection that will complement any home style or decor taste. Choosing your furniture has never been as simple, the Warehouse Prestwich offers everything you need, just visit our great range of coffee tables online or alternatively visit our desirable showroom by simply clicking here to find our location on the map. 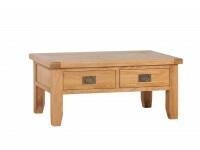 Why not visit Warehouse Prestwich showroom today to view our great range of coffee tables. Contact us directly if you require any more information on our fantastic range of wooden and glass coffee tables or for any other additional products call us on 0161773 8625. Alternatively you can email us and one of the Warehouse Prestwich team will be happy to help.